Matthew Brennan, a professional speaker and writer who focuses on WeChat, China’s famous super app, and Tencent, China’s largest tech giant. His opinions are regularly featured in global media: The Economist, BBC, The Financial Times, Forbes, Harvard Political Review, Quartz, TechCrunch, TechinAsia, CNN, Campaign Asia, eMarketer and Wired. Matthew delivers presentations for executive teams seeking to gain insight into Chinese tech innovation. His company China Channel organizes China’s largest WeChat marketing conference series for international companies. 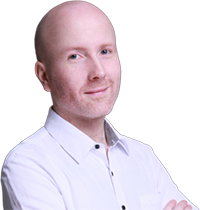 Matthew works with a select few international businesses to help form and implement their WeChat and China digital marketing strategy. In his work as a speaker Matthew delivers a combination of inspiration and insight into the new wave of Chinese digital innovation. He has delivered presentations for companies including Google, Tencent, DHL, Danone, Edelman, Christie’s Auction House, Schneider Electric and Belfius Bank as well as at a large number of industry association conferences. Matthew is also co-host of the China Tech Talk podcast produced together with China’s largest English language tech media, Technode. The podcast unpacks Chinese tech innovation and features guests from many of the internet giants such as Tencent,JD, Xiaomi and Mobike. 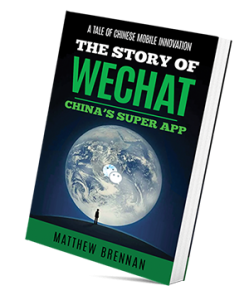 Based in mainland China for over 14 years, Matthew’s book ‘The Story of WeChat’ is due for release later this year. This book charts the incredible story of WeChat. From humble beginnings into a mobile platform unlike anything the world had ever seen. Today modern Chinese life would simply be unthinkable without WeChat. We look at what went on behind the scenes in its struggle to the top and the famously bitter rivalry between Jack Ma’s Alibaba and WeChat’s parent company Tencent. We chart the journey of WeChat’s enigmatic and mysterious founder Allen Zhang, “the father of WeChat” and China’s most revered mobile internet innovator. We look deep into the fintech disruption brought about by WeChat Pay, ushering in China’s mobile payments revolution. The book is the result of over one year’s painstaking research and including insights from several exclusive first-hand interviews with industry insiders. This is the first ever English language book to explain exactly how WeChat works and what makes the ecosystem tick. Inside we systematically chart the progress of WeChat, breaking down each stage with analysis of the real driving factors behind the incredible success story. We also bring what’s happened in China with WeChat back out into a global context, drawing comparison and reference to Apple, Facebook, WhatsApp, LINE, and Snapchat amongst others. This is essential reading for those wishing to understand the disruption and innovation brought about by China’s technology giants or for those wanting insight into China’s modern mobile lifestyle. JOIN THE MAILING LIST AND BE THE FIRST TO KNOW WHEN IT’S OUT!